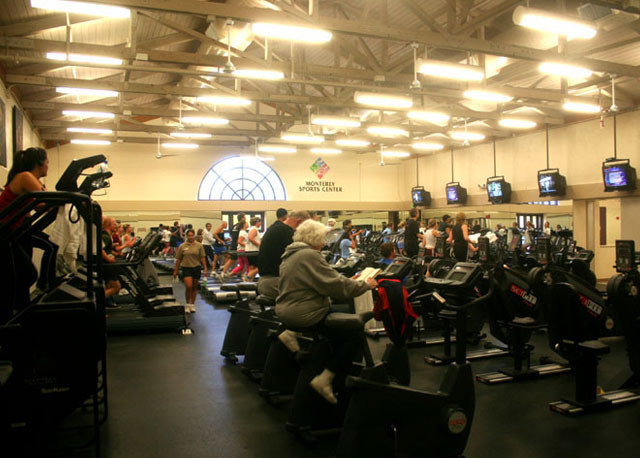 Project Description: The Monterey Sports Center, due to its phenomenal success since its opening, realized that it needed to expand to better serve its users needs and membership demands. The programming studies showed that the aerobics, cardio fitness, and strength training programs needed to double in size. 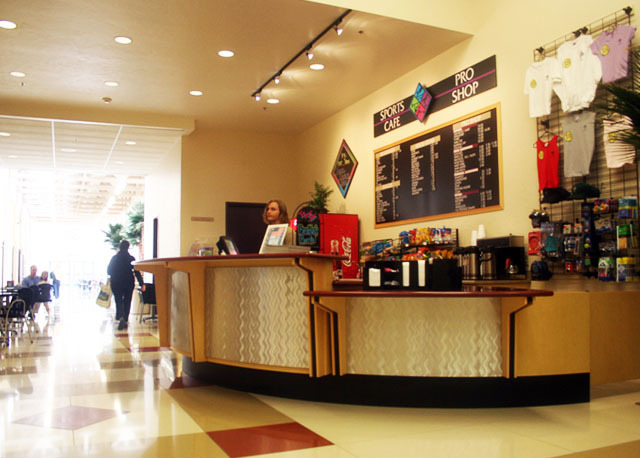 The client emphasized their desire to retain the image and level quality of the original building, while meeting these new needs by expanding. Natural light, efficient public circulation through the building, and a clear expression of structure were the chosen design objectives and aesthetic goals. 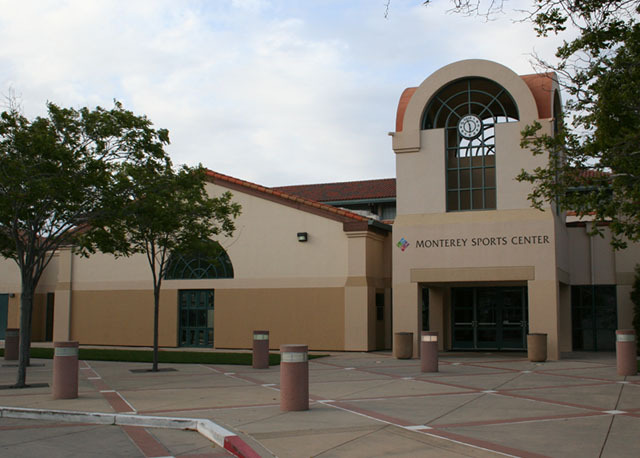 The Monterey Sports Center design accommodated the existing 54,000 sq. 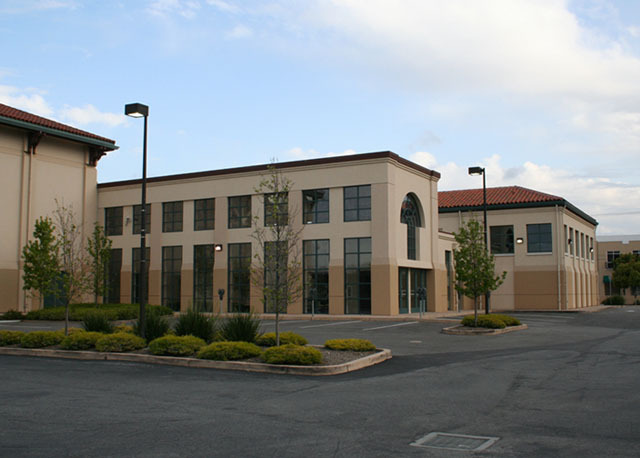 ft. facility with a 20,000 square feet expansion at total construction and furnishings cost of $7.5 million. 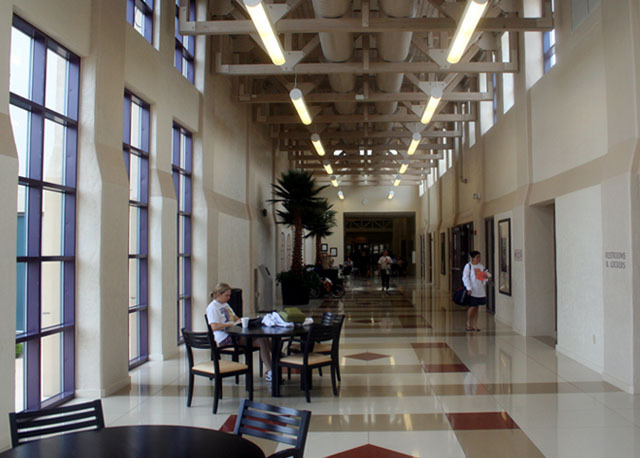 The extended public circulation creates a linear "interior street" from which the new programs spaces are accessed. 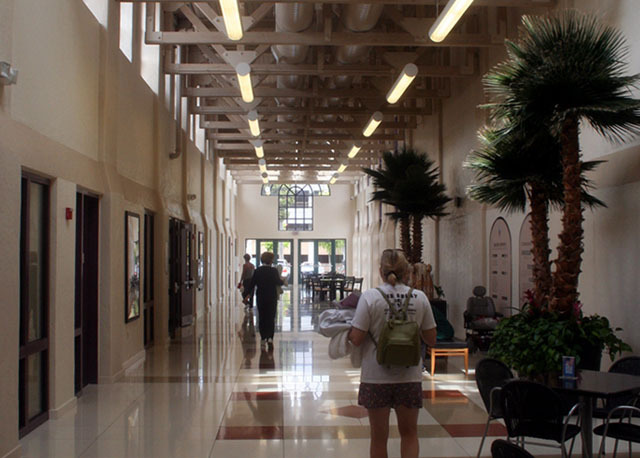 This public concourse is a dramatic and airy space with new pyramid skylights, clerestory windows and exposed wood trusses at a height of 25' above floor level. 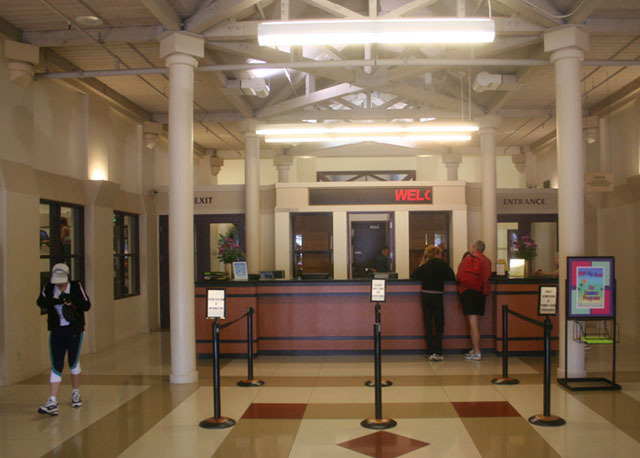 The existing clock tower entry feature and distinctive half round / key-shaped window are also identified as design elements that express the Monterey Sports Center expansion. The new expansion was officially opened on March 7, 2003.